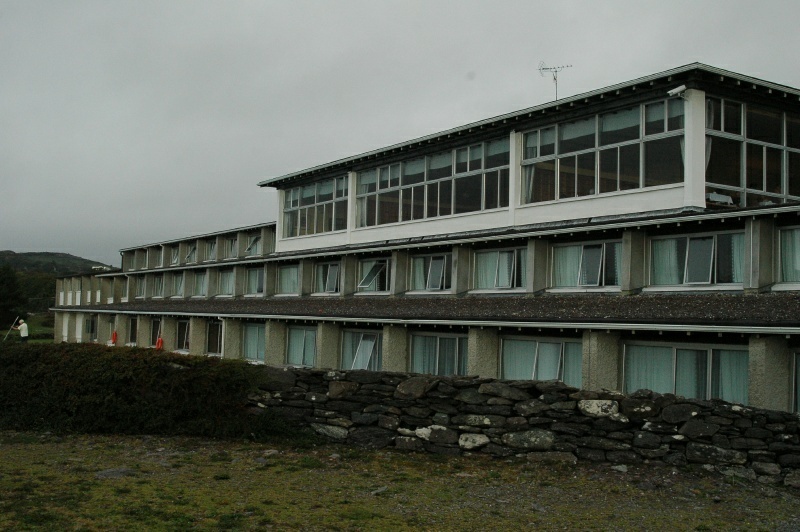 This is the seaward side of the Derrynane Hotel, near Caherdaniel on the southern part of the Ring, where we spent the night of the 21st. The hotel was a major disappointment. While the top floor with its restaurant, lounges, and bar was nice, the residential floors looked and felt like cell blocks: painted concrete-block wall hallways, cheap bare fluorescent tube lighting in those halls, and long, long walks to rooms with no convenient parking. The room we occupied for a night (on the other side from this picture, against the hillside with no view) was hardly decorated at all, and had no provision for making coffee or tea in the room, something we have become very accustomed to. The place wasn’t run down or dirty, and staff were competent and friendly, but it just wasn’t a great place.